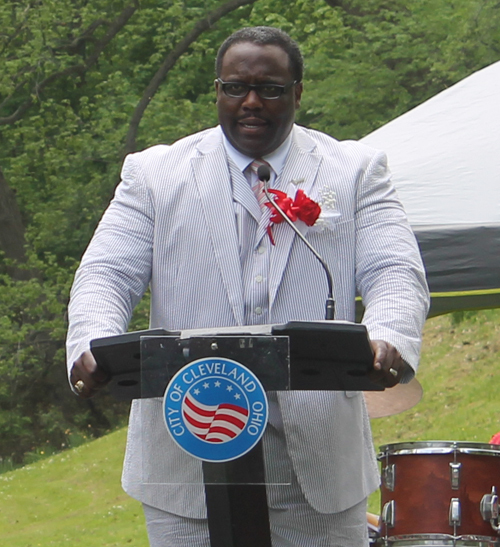 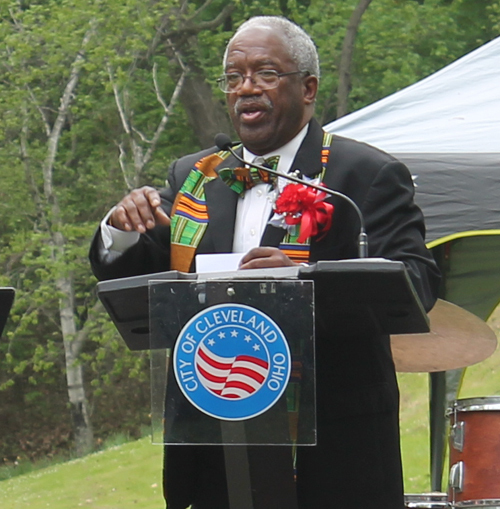 Carl Ewing, president of the African American Cultural Garden group, spoke at the Groundbreaking Ceremony and welcomed the large crowd. 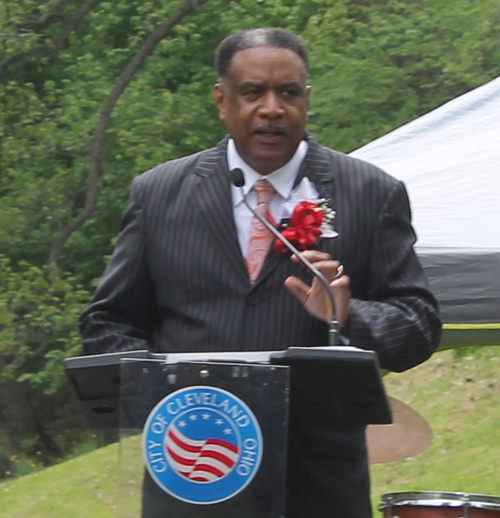 Bishop Tony Minor gave the invocation. 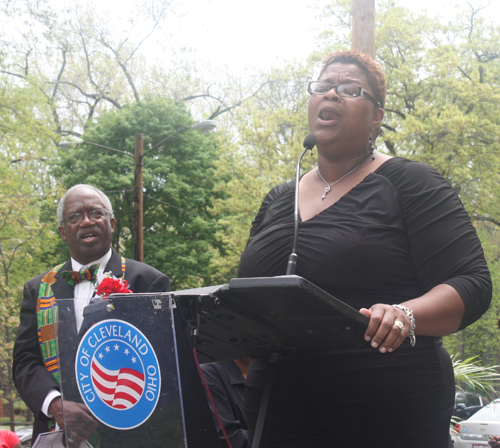 Marla Hodges-Travick of Rhema Fellowship Church sang the Black National Anthem, Lift Every Voice and Sing. 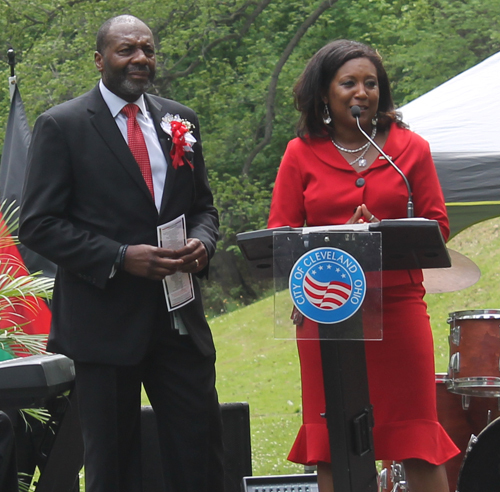 Next, Darnell Brown, Chief of Operations, and Natoya J. Walker Minor, Chief of Public Affairs of the city of Cleveland, spoke at the Groundbreaking Ceremony. 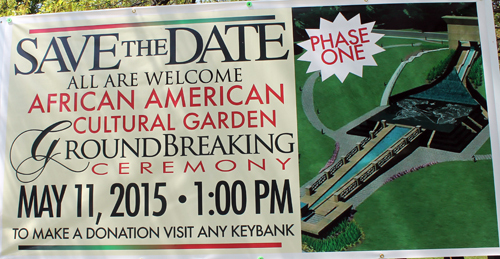 Daniel Bickerstaff of Ubiquitous Designs spoke and explained the design of the proposed Garden. 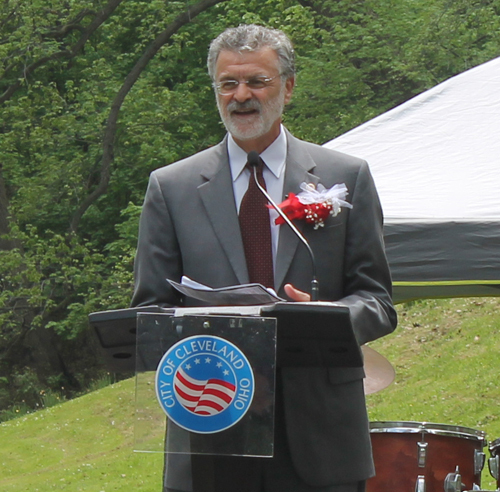 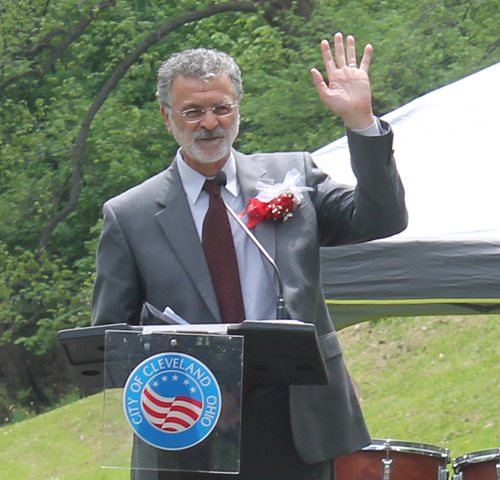 Cleveland Mayor Frank Jackson spoke next at the Groundbreaking Ceremony of the African American Cultural Garden. 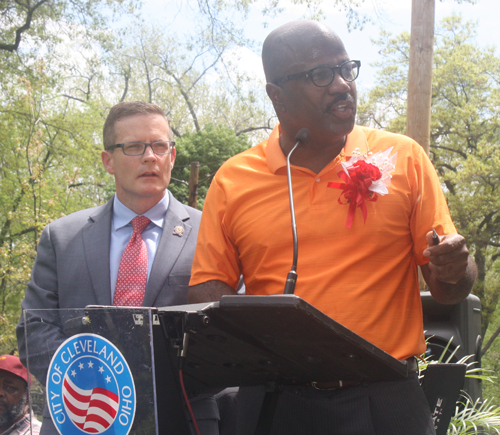 Delegate Carl Ewing said that Mayor Jackson has been instrumental in getting the Garden to this point and will take it to the next level. 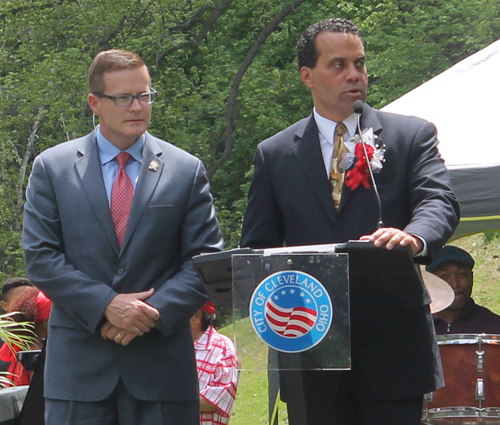 Councilman Kevin Conwell and Council President Kevin Kelley spoke next. 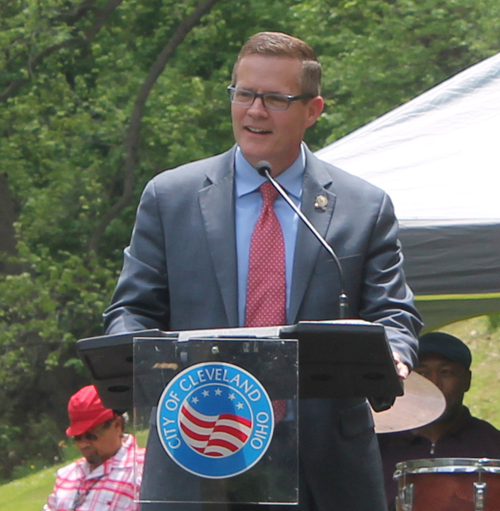 They were followed by Councilman Jeff Johnson. 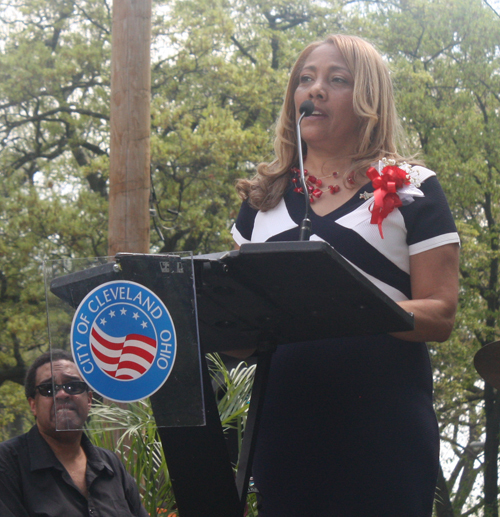 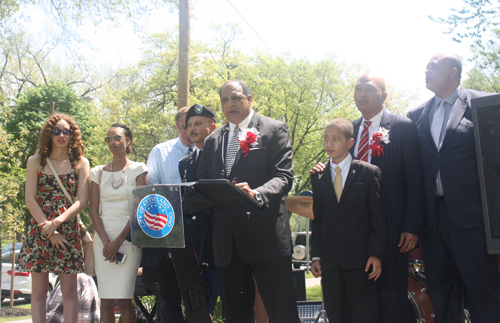 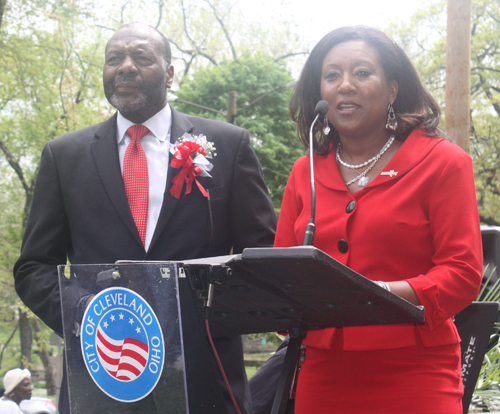 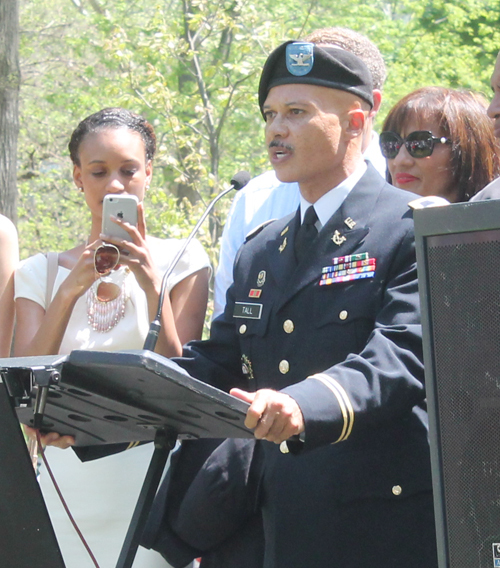 Councilman Johnson introduced City of Cleveland Community Development Director Daryl Rush and Mrs. Dorothy Adams. 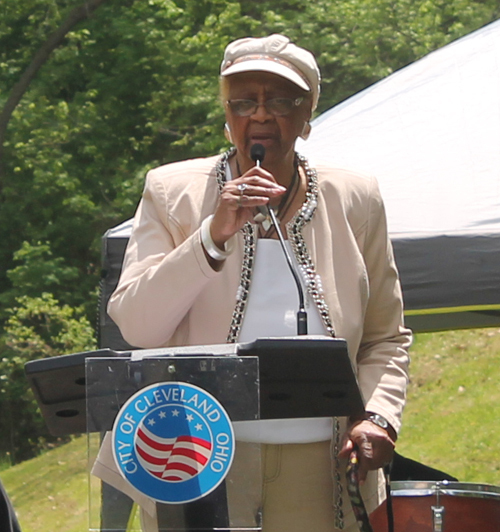 Susan Hall of the Western Reserve Historical Society spoke next. 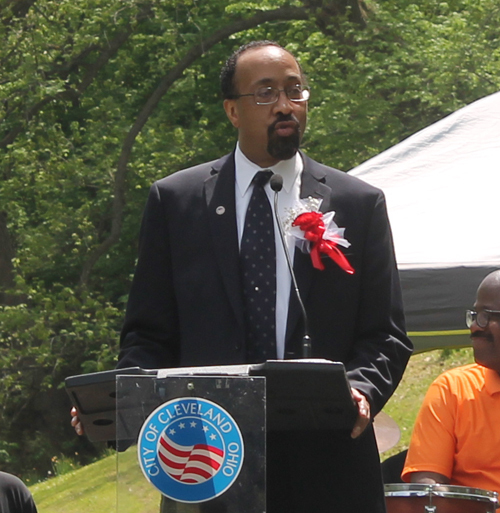 Booker Tall was the driving force behind the African American Cultural Garden. 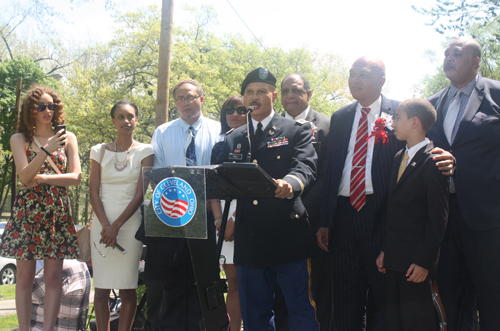 His family was introduced and came on stage and spoke. 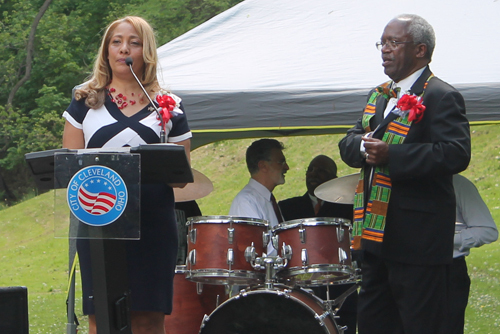 The crowd was entertained by African drummers and dancers from the Djapo Cultural Arts Dance and Drum Ensemble led by Talise A. Campbell and after the program, leaders and dignitaries grabbed shovels and hardhats for the Groundbreaking at the African American Cultural Garden.